<p class="canvas-atom canvas-text Mb(1.0em) Mb(0)–sm Mt(0.8em)–sm" type="text" content="The Las Vegas&nbsp;parents&nbsp;of a 6-year-old are embroiled in a battle with their son’s school district after requesting that he be allowed to wear a listening device to class following a case of&nbsp;abuse&nbsp;by a former&nbsp;teacher.” data-reactid=”22″>The Las Vegas parents of a 6-year-old are embroiled in a battle with their son’s school district after requesting that he be allowed to wear a listening device to class following a case of abuse by a former teacher. <p class="canvas-atom canvas-text Mb(1.0em) Mb(0)–sm Mt(0.8em)–sm" type="text" content="Joshua and Britten Wahrer are the parents of J.J. Wahrer, and say they want to keep track of their son, a student at Harmon Elementary School in the Clark County School District, and be able to listen to his surroundings at school after the non-verbal&nbsp;autistic&nbsp;boy was hit by his teacher last year. 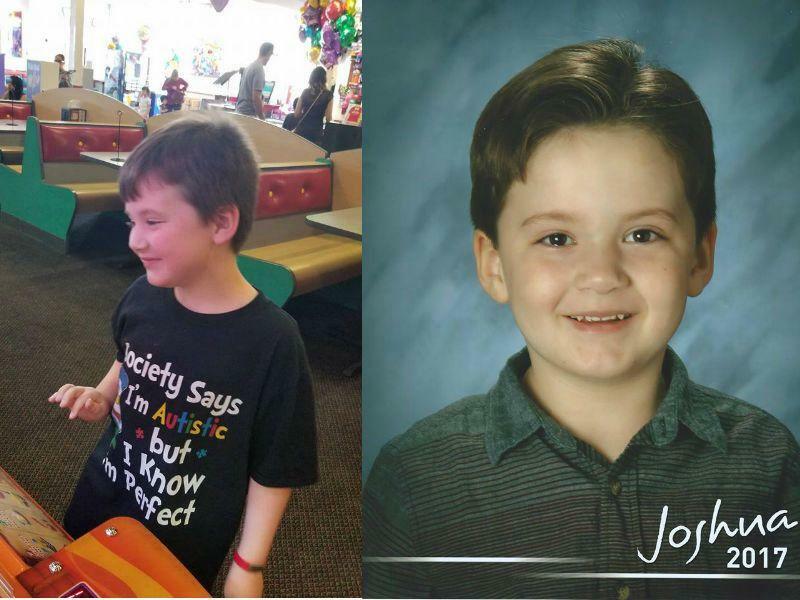 J.J.’s former teacher, Melony Carter, was&nbsp;charged with felony child abuse&nbsp;in June 2018 after a substitute aide told district police about the incident.” data-reactid=”23″>Joshua and Britten Wahrer are the parents of J.J. Wahrer, and say they want to keep track of their son, a student at Harmon Elementary School in the Clark County School District, and be able to listen to his surroundings at school after the non-verbal autistic boy was hit by his teacher last year. J.J.’s former teacher, Melony Carter, was charged with felony child abuse in June 2018 after a substitute aide told district police about the incident. The school district did not immediately respond to Yahoo Lifestyle’s request for comment. The aide’s account of the story described Carter striking J.J. around five times with a wooden pointer, hitting him so hard that it made a sound as it moved through the air and even broke once it made contact with the then 5-year-old. And although the Wahrers have since taken J.J. out of that specific elementary school, Joshua tells Yahoo Lifestyle that he and his wife still worry about the district’s communication and feel that they need extra reassurance that they can’t get from their son directly. Joshua goes on to explain that he and Britten have asked that the school district be more transparent with them and provide more reports about what’s taking place at school. But the district has yet to follow through. The device, which is called Angel Sense, is something that Joshua discovered when watching a YouTube channel called “Fathering Autism,” and eventually brought up to the family’s attorney when figuring out a way to mediate the situation with the school. According to Joshua, they felt it was a good option to make sure that J.J. is receiving the education that he is entitled to. The school, however, has other concerns that have led them to oppose the request. On Wednesday, the school district and the Wahrer’s finished a two-day hearing at which Joshua ensures all evidence was laid out for the hearing officer. Now, they’re awaiting a decision that is expected to be announced on Apr. 22. “Due to the controversy surrounding us asking for the device it’s hard to say what the outcome will be,” Joshua says. J.J.’s parents are not only asking for him to use the listening device. But also, they’ve asked for compensatory education to give their son the extra help he needs to make up for the time he lost at school because of the prior incident. They’ve also asked for additional training for any staff working with disabled children.